Coffee and eats are what I look forward to everyday when I wake up. I am a sucker for a cute coffee shop or meal with a nice view. If you’re a San Diego native such as myself, you’ll enjoy this section most of all. Why? I want to give you all the stops in this area. If you want to enjoy a Mexican food restaurant, Italian bistro, or finger food in SD, here’s where to look. I’m a foodie and a drinkie. Sometimes we have friends who come in and visit and we find ourselves thinking: “what would be a good place to take them?” No need to look further, this one’s for all my fellow San Diegans. Oh, and if you’re not a native, this will give you detailed info and where to go when you do come and visit! Also, I love hearing about what you would like for me to publish on! If tea is your fave, let me know and I’ll hunt for the best tea spots in town. Happy Hunting ! 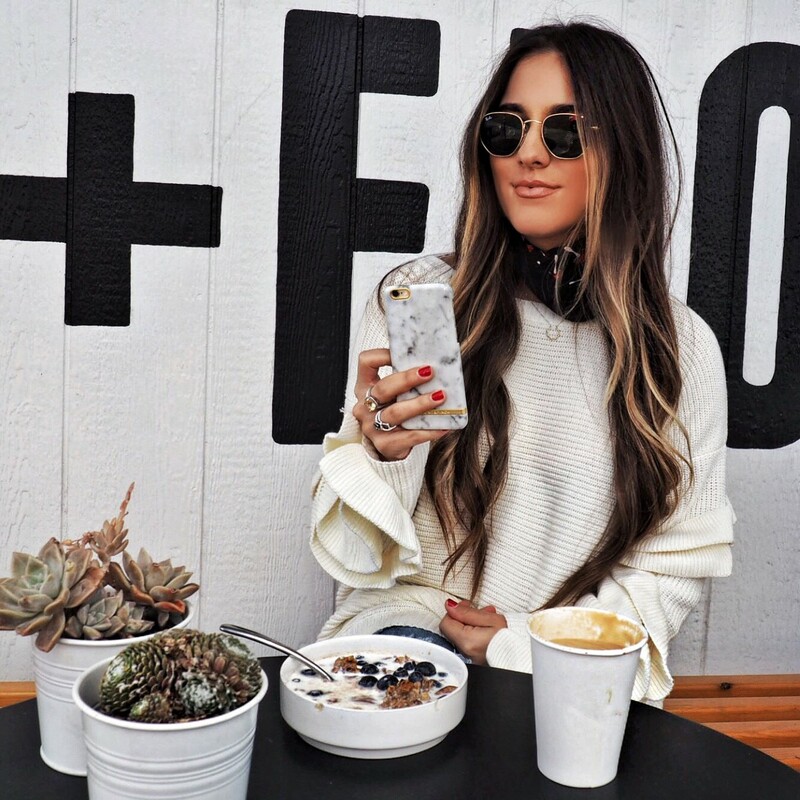 This North Park gem is one of the most instagrammed coffee shops in San Diego. It’s unique combination of coffee and flowers gives a different feel to a coffee shop. Their coffee is independent based and their community inclusive aesthetic sets them apart from any other coffee shop. Their indoor decor is simplistic and unique as well as the products for sale. 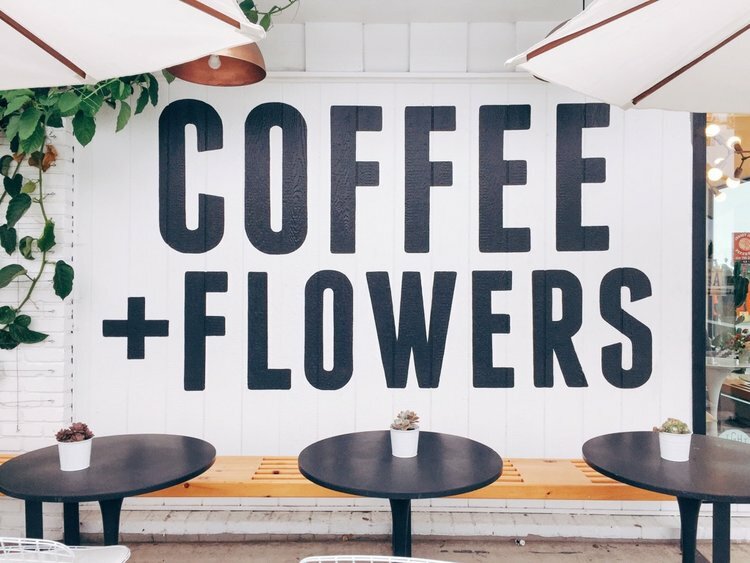 Their outdoor wall is what is mostly instagrammed: the infamous “Coffee + Flowers”. It is a great place to hang out with friends, but also take a memorable instapic. Bean Bar is a coffee shop on K St. in San Diego’s East Village. It offers unique hand crafted coffee that warms the heart. It has wide open windows where it’s customers can see the happening in one of San Diego’s busiest areas. 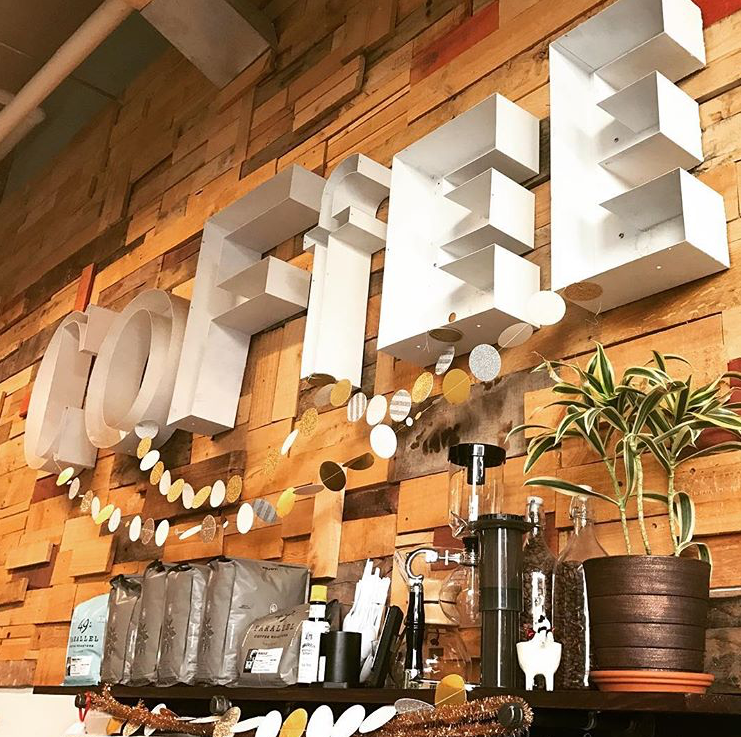 Their “Coffee” wooden wall art behind the baristas and their “Drink Delicious Coffee ” wall art is what sets them apart. This local coffee shop is friendly and warm, perfect for a meeting or spending the day catching up on e-mails. Balboa Park is one of those tourist cites that people are generally drawn to. It has a wide variety of museums and a great place to spend a Sunday with the family. Balboa has so many places that are Instagram worthy whether it be inside a museum or capturing a pic under one of the arcs in the hallways. 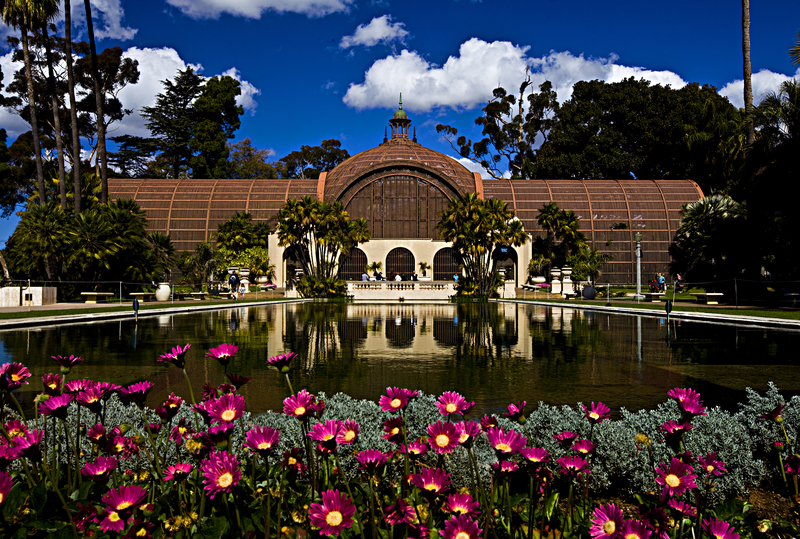 Personally, I love the Botanical building in the center of Balboa Park. Admission is free to the public and they have plants from orchids to rare cacti. 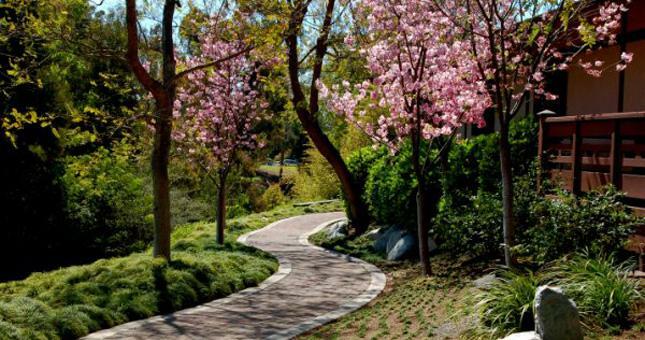 The Japanese friendship garden is also one of my favorite places in balboa park to unwind. Admission is $10 per adult, but it is an relaxing place to connect with nature. These are two of the most pictured places in San Diego! 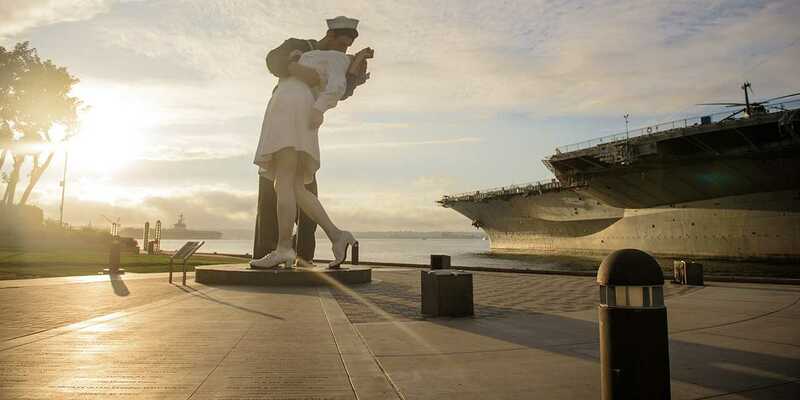 Seaport’s Unconditional Surrender statue is a classic for San Diegans to photograph. The statue resembles the V-Day in times square photograph published in 1945 where a US Navy sailor kisses a stranger. The piece, very appropriately placed adjacent to the USS Midway, is a place where people come to mimic the spontaneity of the original picture. Pigment is a gifting store in North Park that has product from greeting cards, to furniture, to mugs, to plants. It has a very unique activity: do-it-yourself cactus plants. 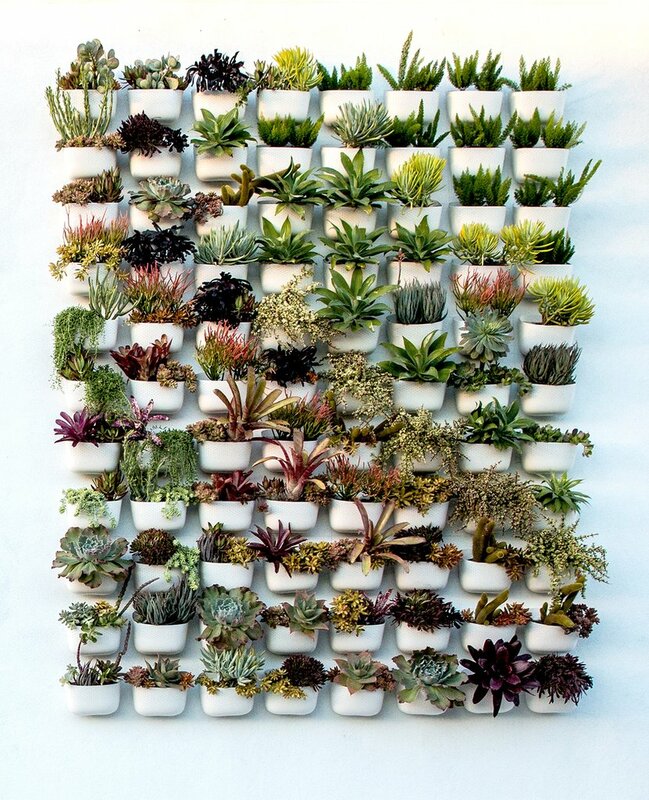 This store is located one street down from North Park’s main University Ave. Pigment decided to have a “Living Wall” as they call it and showcase their toughest plants on a white wall. The concept is very clean and different. It is a commonly photographed wall in North Park because of its originality. North Park is one of my favorite areas in San Diego, Pigment being one of my favorite stores. It just has the cutest little knick-knacks ! The Before I die wall is in Hillcrest, San Diego. It is an a perfect place to stop and write some food for thought for others as they stroll around Hillcrest after lunch or dinner. It is a chalkboard wall where people can go and write what they want to do before they die. It is an inspirational approach to set goals, but a fun place to go and take a picture as well. The board is usually full, but every week it is cleared and there is a clean canvas for writing. Check it out! It is on the corner of University Ave & Richmond.